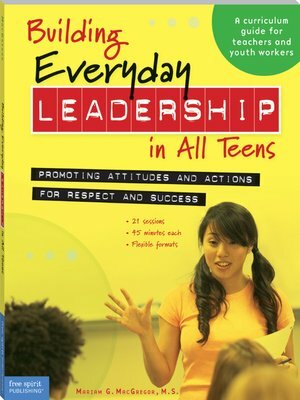 by Mariam G. MacGregor, M. S.
Every teen can be a leader. This flexible, ready-to-use curriculum helps you instill a leadership attitude in all adolescents. The 21 sessions teach leadership skills through activities, discussion, observation, reading, writing, and goal setting. Includes assessment tools, reproducible forms and exams. Note: Requires use of the student book Everyday Leadership.